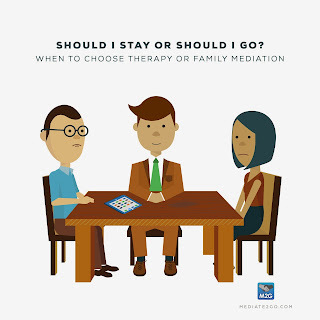 http://blog.mediate2go.com/2018/08/benefits-of-family-mediation-services.htmlBenefits of family mediation servicesIt is well established that family mediation services provide a more flexible, affordable and satisfying process for couples ending their relationship than an adversarial court battle (see amicable divorce). There are also various benefits for children when using family mediation, such as helping them cope. If you have decided to end your relationship with divorce or separation, then mediation is a great process to consider. If you still haven't decided whether you want to choose divorce or to stay together, read the blog about choosing divorce or family therapy. Top 10 Songs about Conflict - 2015This blog is part of our series of top conflict songs. See the Top 10 Conflict Songs of 2014. 1. Hello - Adele A song about reconciliation and when fights go bad. A past conflict has resulted in a separation, but during this song she is trying to resolve this conflict. The fact that she has taken the first step in reconciling the relationship is admirable, however there are ulterior motives behind this reconnection, which could create extra conflict and avoidance down the line. When rebuilding a relationship, honesty is always the best policy. You can’t build an honest relationship out of lies (also see tips on coping with divorce). 2. Elastic Heart - SiaA song about destructive relationships and moving on. Celebrities and Mediation – What Is The Link? Ola! Hope you guys are still having a read of my blogs, and perhaps this one caught your attention. 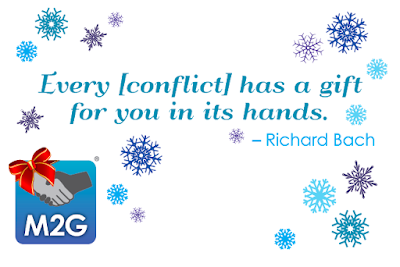 Throughout history, there have been disagreements, conflicts and aneed for mediation. As history goes on, it has simply been thrust into greater prominence. Singers, actors and public figures are constantly thrust into the limelight and scrutinised. Whether you are talking about legendary feuds, such as that between Betty Davis and Joan Crawford, or feuds in more modern pop culture, such as the conflicts between Taylor Swift and Katy Perry, there seems to be much need for mediation in Hollywood. The question I pose to you is this; are celebrities and their disagreements really as epic as the media makes them out to be? Are they heavily exaggerated, and modern media simply does it for the money? Or perhaps it is a mix between the two, with both parties at fault (see conflict escalation)? Christmas is just around the corner, and guess what, most of us survived (ish). I would like to start off by saying congratulations on that, an achievement in itself! However many people may claim that Christmas is always “full of cheer”, so to speak, in my opinion they are extremely confused about the true meaning of Christmas. Workplace mediation is in my opinion, more important in December than in any other month of the year, for a variety of reasons. Even if people don’t celebrate Christmas, December is the time of many celebrations, which may be joyous, and unfortunately at times, conflictual.